Oliver here! I’m a sweet and inquisitive 9-month-old boy that is ready to find my future forever home. Like most young male cats my age, I am very playful and curious and I’m also a pretty confident guy. Anyone who stops by to say hello is greeted with eager head-butting and happy paws! I’m a big lap kitty and don’t mind being held at all — in fact, I really enjoy it! I haven’t had much stability in my short life, and when I first came to Pixie, I was very stressed from all the transition. As a result, I wound up with a urinary blockage which fortunately was caught and treated right away. It was a pretty scary incident, but after spending time with a loving foster, I’m fully recovered and have been doing really well back at the shelter. I don’t have to be on urinary food, but I am on a wet-food only diet to encourage a healthy urinary tract and hopefully prevent any future issues. I will definitely need to have regular vet care and be monitored closely before potentially going back to a dry food diet, and I will also do best in a relatively calm and stable home to reduce the likelihood of having another stress-induced episode. That being said, I am currently back to perfect health and don’t have any current medical issues or special needs. I’m a very tolerant and gentle boy and would do fine in a home with children and with mellow, cat-friendly dogs, though I don’t really seem to enjoy the company of other cats. 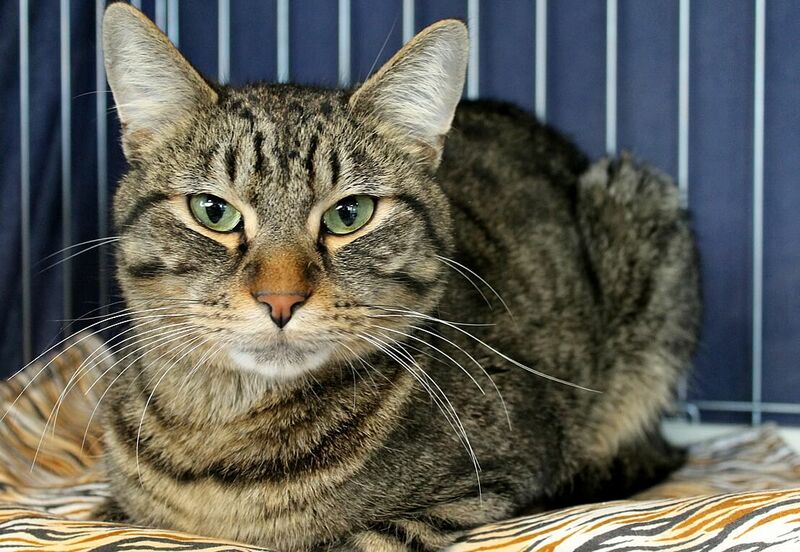 Are you currently cat-less and looking for a handsome companion? I think I could be your guy, so come on by! I come to you fixed, vaccinated, and micro-chipped for an adoption fee of $100.